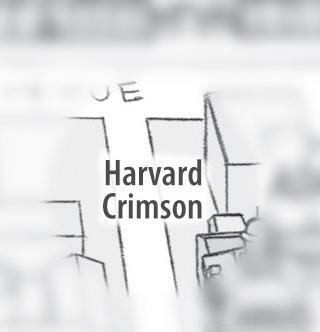 At some point during the 1960s, The Crimson decided that it was time to finally replace its old linotype machines. These industrial behemoths had become woefully outdated, and the newspaper’s alumni pitched in to pull off a massive fundraising drive to finance the purchase of a set of refurbished Goss Community presses. But when it came time to install the new presses, no one could figure out how to get the old presses out of the building. They were too large, too bulky to be extracted from the building, and the paper’s staff found itself stumped as to how to get rid of these aging, horribly obsolete machines. Then, someone came up with the ingenious idea of pouring concrete over them, encasing them in the material, raising the basement floor several feet, and installing the new presses on top of the old, now buried, presses. So when the arctic icecap finally achieves its irredentist return to the eastern seaboard, engulfing this continent in another ice age, those old linotype presses will probably survive as some sort of industrial troglobite. The smell of ink and paper, the bundles of papers ready for delivery, The Crimson’s old pressmen and eager undergraduates will be long gone by then. All the things that once made a cold pressroom feel so alive will have faded, relegated to memories and archives. But when the archeologists of some coming millennium arrive in what was once Cambridge to excavate a site that they believe once housed a very fancy university, they will find these old presses. Down in the concrete, the linotype machine Model 8, No. 47944 manufactured by the Mergenthaler Linotype Co. will still bear the marks of the anonymous workers, engineers, and draftsmen who once rolled that proud machine off of a factory floor in New York.